We meet every Lord's Day (Sunday) at 9:00am and 11:00am on the corner of East bay Drive NE & Olympia Ave. You can also find us on the map at the bottom of this page. We have freshly brewed coffee and an assortment hot teas in our Commons. Feel free to grab a cup and bring it in to the service. Clothes! We do not have a formal dress code of any sort at Harbor Church. You might find that some folks dress up a little bit for Sunday, and others who are more casually dressed. During all of our worship gatherings we have special events for all kids ages 10 and under happening in our Harbor Kids area of our building. Feel free to check your kids in before one of our gatherings and let them enjoy playing, singing, and learning about Jesus in a kid-friendly environment with teachers who love to engage our kids with the love of Jesus. 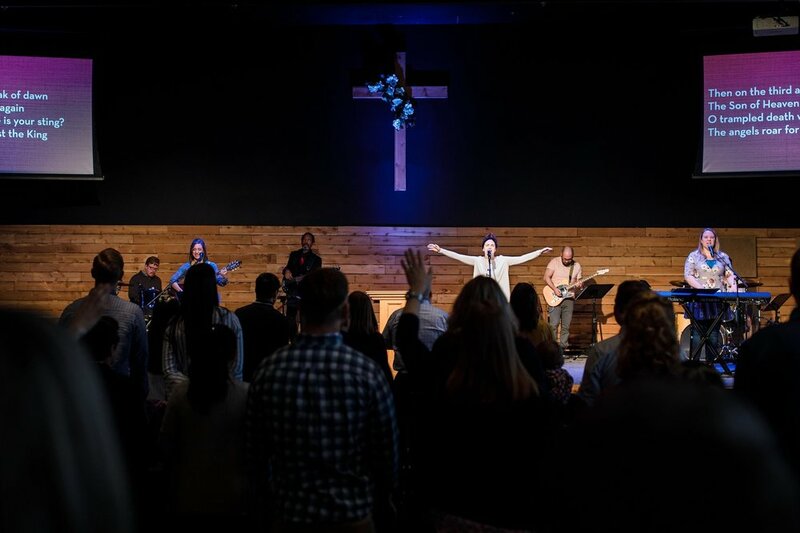 Every Sunday, at both 9:00am and 11:00am, we gather together from all around the South Sound region to worship God through singing, listening, and responding to the overwhelming grace and love of God. This is why we generally start the service with 2-3 worship songs. Singing together the deep truths of scripture, reminding our own hearts that the promises of God are sure and true. After 2-3 songs, we then move into a time of worship through the preaching and teaching of God's Word. The preaching ministry in central to the Sunday worship gathering and to the overall discipleship ministry of the church. Our sermons typically run 40-50 minutes in length as we greatly value our time in God's word. All of the sermons are recorded and published to this website by Monday morning in case you miss anything. Following the sermon we will take time to worship as a response to God's Word through Giving, Communion, and corporately signing songs of assurance in the hope we have in Jesus. If you are a guest of ours, please know that there is no expectation for you to give. Our worshipful act of giving is for the gathered church family. 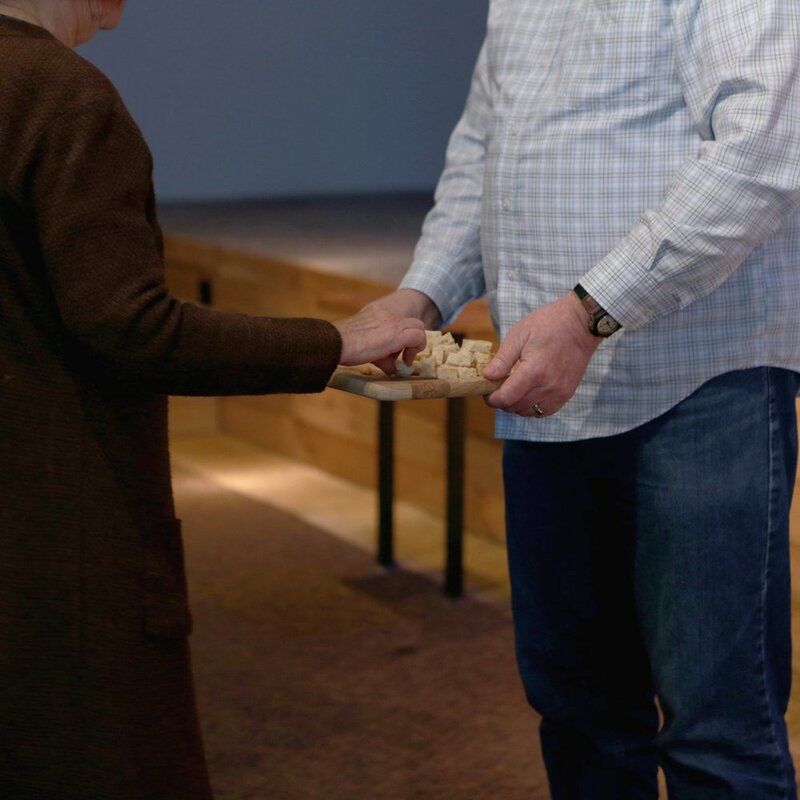 However, if you are a fellow believer in Jesus' death, burial, and resurrection, then we would love for you to celebrate the remembrance of Jesus' sacrifice in the partaking of communion. The service will conclude with a benediction/commission. Feel free to hang out after the service and meet some new people. We have a connect desk in the commons if you have any questions about getting connected or serving at Harbor Church. Also feel free to send us an email by filling out the form below with any additional questions you might have.